ARROW’s Diggle (David Ramsey) and Lyla (Audrey Marie Anderson) unleash ARGUS’ Ghost Initiative on the Monday, March 4 episode of The CW series. 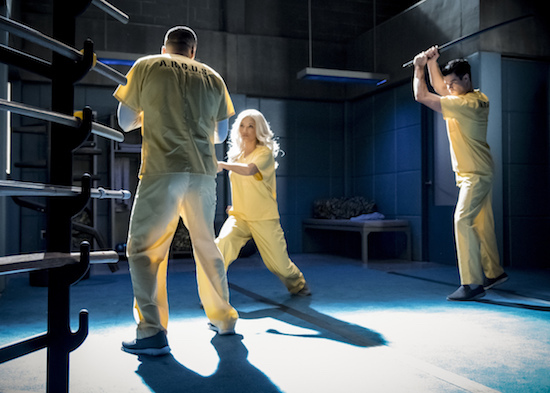 Arrow -- "Brothers & Sisters" -- Image Number: AR714B_0117b -- Pictured (L-R): Kirk Acevedo as Ricardo Diaz, Kelly Hu as China White and Liam Hall as Kane Wolfman -- Photo: Dean Buscher/The CW -- ÃÂ© 2019 The CW Network, LLC. All Rights Reserved.